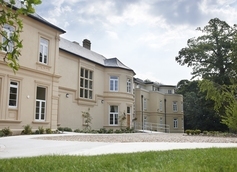 Providing residential, specialist dementia and 24-Hour nursing care for up to 59 residents in spacious and attractive en-suite bedrooms, the close-knit team is incredibly proud of the home and the lifestyle the residents enjoy. 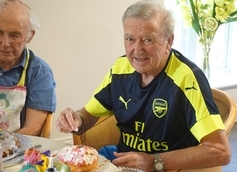 At West Cliff Hall, we pride ourselves on the exceptional care that we deliver to our residents and their families by actively encouraging them to participate in their own plan of care. Our attentive and conscientious, qualified nursing and care team are on hand 24-hours a day to provide care and support tailored to personal needs. 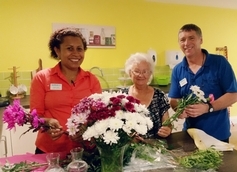 Hartford Care is really looking forward to supporting the West Cliff Hall team to continue the fantastic work with its residents and families, helping them to continue to provide the very best possible care in the Hythe area and remain the premium home in the locality. Please be advised Amanda Tanner (Home Manager) is currently on maternity leave. For information on our current room availability or if you are looking for care for a loved one please contact Home Admissions Advisor, Kieran on 07818098109.